In the autumn of 2018, our Head of Design at KJ, Hirisha Mehta, was invited with a group of journalists to explore the northern and lesser-known areas of Kyoto Prefecture, called Kyo-Tango. This was part of an initiative by Kyoto by the Sea DMO (Destination Management and Marketing Organisation to promote regional development through tourism. It is uncommon to find many people among those who have visited Kyoto City who have ventured out to towns further afield that make up Kyoto Prefecture. I myself have lived in Kyoto City for a decade, and until my trip with Kyoto by the Sea, had only vague memories of an early trip to Ama-no-Hashidate, the “Heavenly Bridge” named one of the top three scenic views in Japan. And so through this excursion I was much better able to understand the cultures of Kyoto and the place of the city within it. In the era of “slow travel” — where greater value is placed on the authentic and local — these relatively inaccessible areas of Kyoto are more relevant than ever and certainly worth taking the time out for. 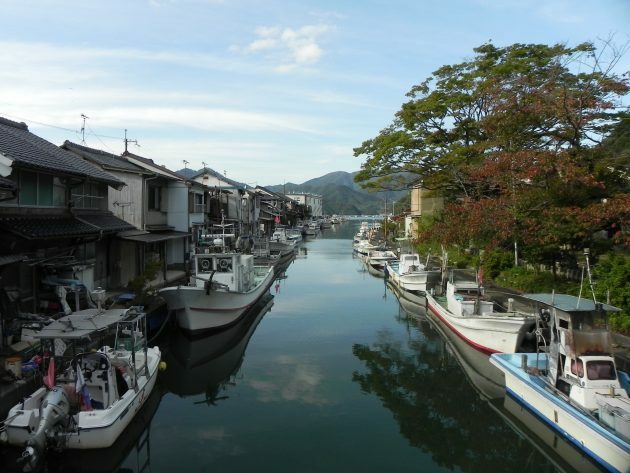 The Northern region of the Kyoto Prefecture comprises a number of charming small cities and towns with Ayabe and Fukuchiyama (which can be reached within 2.5 hours from JR Kyoto or Osaka stations) acting as a gateway to the towns facing the Sea of Japan, such as Amanohashidate, Ine, Yosano, Maizuru and Miyazu. Out here, life is simpler and less extravagant than in the City, yet no less fascinating and rich. People here busy themselves with centuries-old handmade craft traditions such as paper-making and silk weaving, as well as agriculture and fishing. They are not only overjoyed to see visiting outsiders, but also eager to share their way of life with a characteristically warm hospitality. 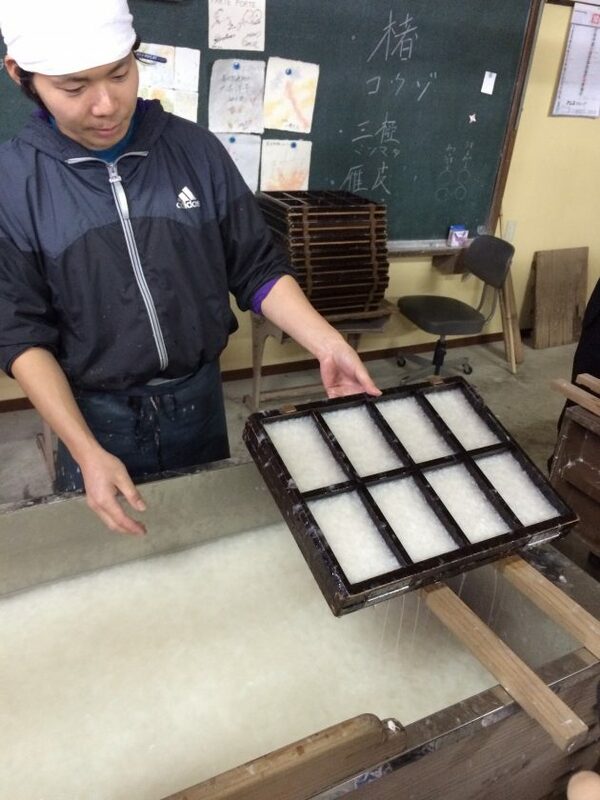 Among the locations we visited was the Kurotani paper-making village in Ayabe. As a printmaker I had had the opportunity to work with the famously fine washi Japanese paper sourced from the village, and so I was particularly excited to see it on our itinerary. Kurotani itself is as quaint as I had imagined it to be, a hamlet located on a gentle incline, with a river running through it, which, as we would learn, is crucial to the paper-making process. 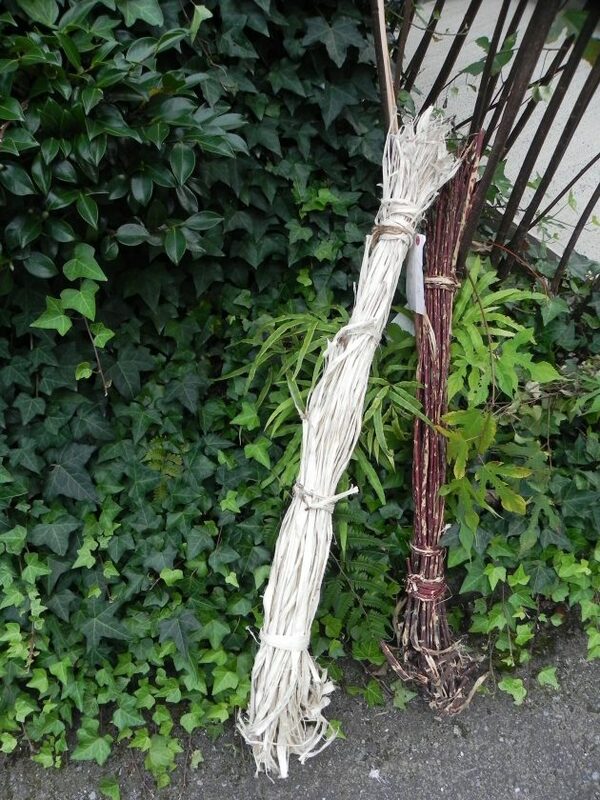 The tradition of Kurotani paper-making dates back to almost 800 years ago, and is tied into the story of fabled Heike clan, which was catastrophically defeated at the hands of the Genji clan in the 12th century wars. 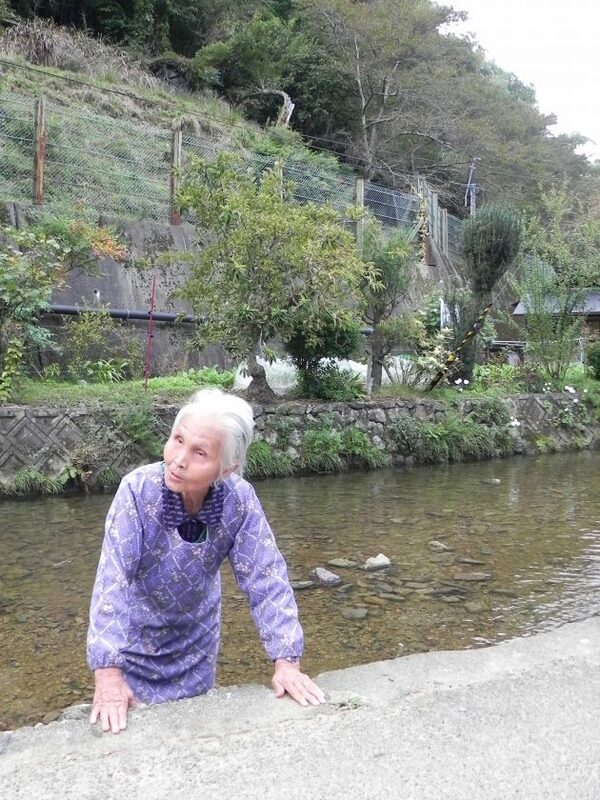 Surviving members of the clan fled to far-flung locations around the Japanese archipelago, hiding from their pursuers deep in the mountains. 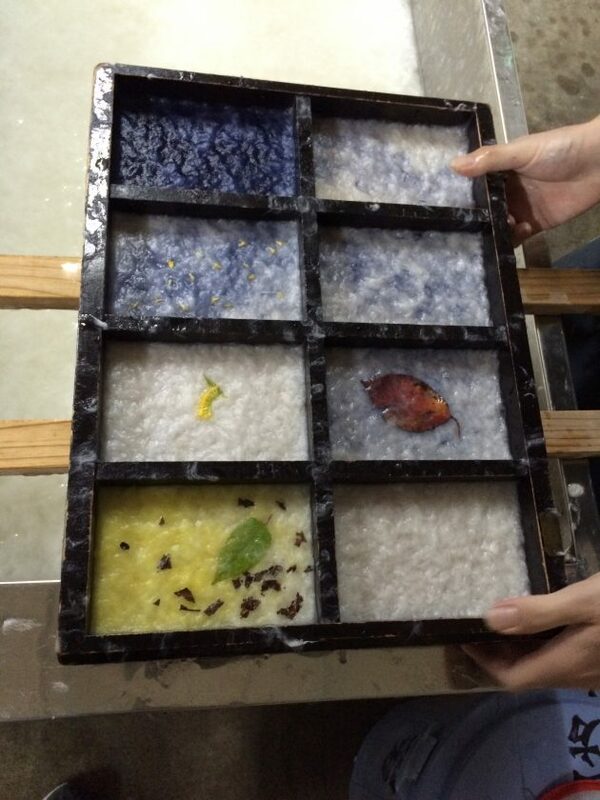 Paper-making is said to have been picked up as a profession among those Heike clan members and their descendants who settled here, and today is made the same care and precision. Tomonobu Yamamoto, one of the directors of the Kurotani Washi Association of papermakers, who shared with us the history of the village and took us through the step-by-step process of making kurotani paper, from its humble beginnings as freshly harvested tree bark. He even let us in on the secret behind what makes the final product so robust and long-lasting — a mixture of both kozo (a variety of mulberry) and mitsumata (Oriental paperbush). 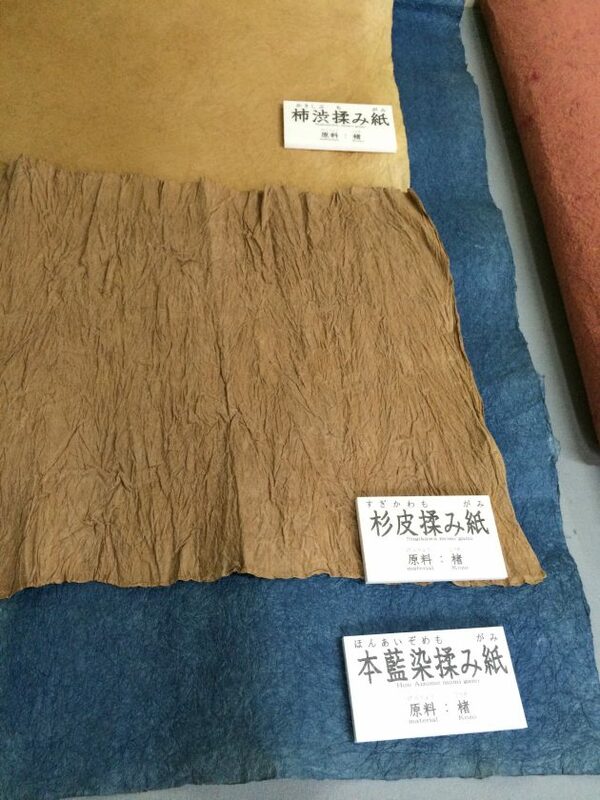 As such, the paper is used in everything from umbrellas to shoji paper sliding doors and packaging. 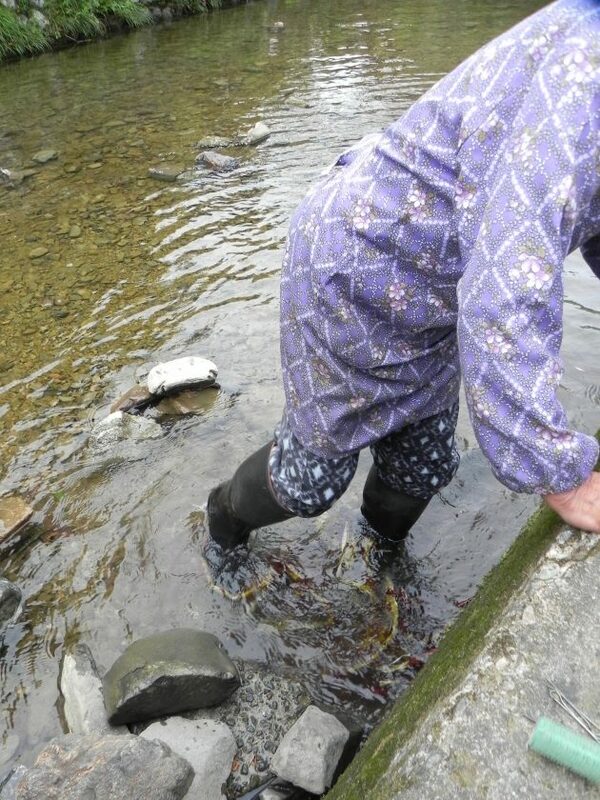 Whilst out walking by the riverside, we had a chance meeting with an 86-year-old local, Sayo Horie, who was kneading away at the mulberry kozo in the frigid water in her welly boots. I was so moved by this extraordinary encounter, as I could feel her passion towards a craft she that has been engaged in almost all her life still burning so strongly. 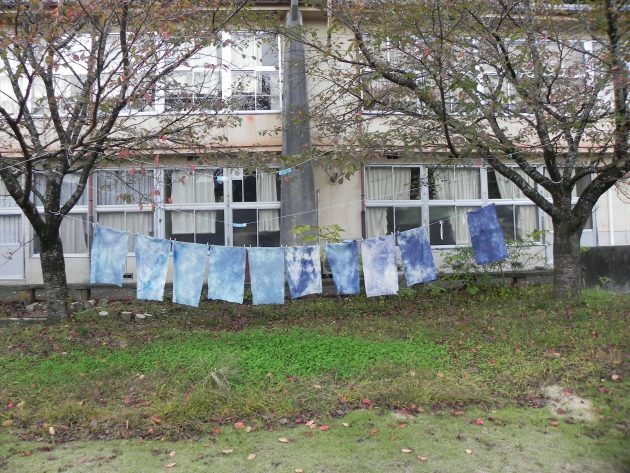 After this we were taken to Kurotani Washi Kougei No Sato (Kurotani Washi Craft Village), housed in a former elementary school that closed in 2005 — a common reality in the depopulating Japanese countryside. 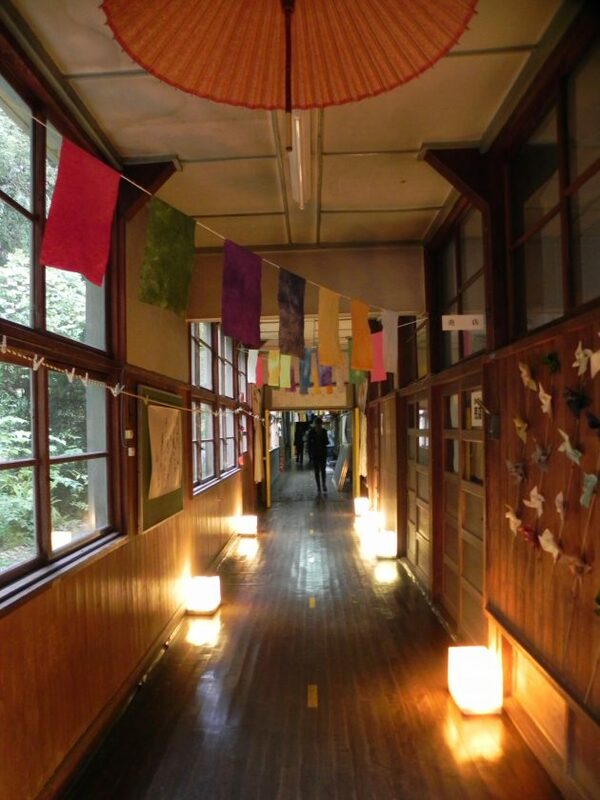 The first floor serves as a workshop space where visitors can try their hand at making their own washi, and the second a series of exhibition rooms. Visiting Kurotani was truly an eye opening experience me. I have always loved working with paper as a medium but having seen just how much time and effort goes into making each sheet, I have come to appreciate every last piece and use it with care. Open only on Sat, Sun and national holidays: 9:00–16:30 (Closed from January to March) Directions: From JR Ayabe Station (JR Sanin Main Line) south exit, take a bus (Aya Bus Kanbayashi Line) to the Tokura bus stop. Then a 2-min. walk.